Accepting Credit Card and eCheck Payments is easy with the QB EzPay application. Instantly apply payments to Sales Orders or Invoices as they are received, avoiding double entry and additional steps required by some plugins and applications. QB EzPay supports key typed or swiped cards as well as sale, authorization, capture, refund, and void transactions. 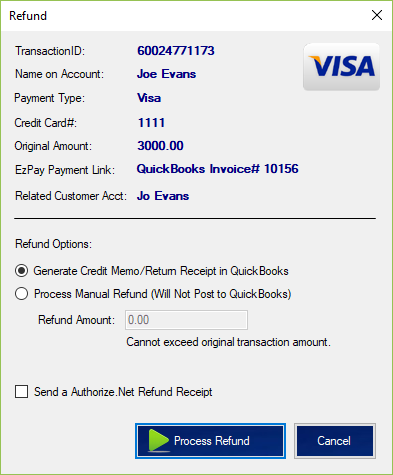 With the EzInvoice tool you can receive payments directly against selected invoices from QuickBooks™. Using EzReceipt, receipts are automatically generated for you with all line item and pricing details recorded automatically. Credit Memos can even be generated when a refund is processed saving you the need to enter them manually. QB EzPay streamlines the payment process so your organization can easily begin to take credit cards without all of the “extra steps” required to record the transaction within QuickBooks™. Instantly accept all major credit cards including Visa, Mastercard, Discover, and American Express and use them to record payments for Sales Receipts and Invoices within your company file. When the Authorize.Net™ CIM is enabled for your account, you can save any used methods for future use giving your customers added flexibility and convenience for future purchases with your organization. Funds are automatically deposited into your bank account within days improving your cash flow and shortening your Accounts Receivable exposure. All electronic transaction types are supported including Capture, Authorize, Void and Refund. Click here to learn more about how your organization accepts Credit Cards. Accept Check payments electronically like you would any credit card payment by using QB EzPay. Studies have shown that a typical company will spend upwards of $2.50 to process a paper check not to mention waiting for the funds to clear the banking network. 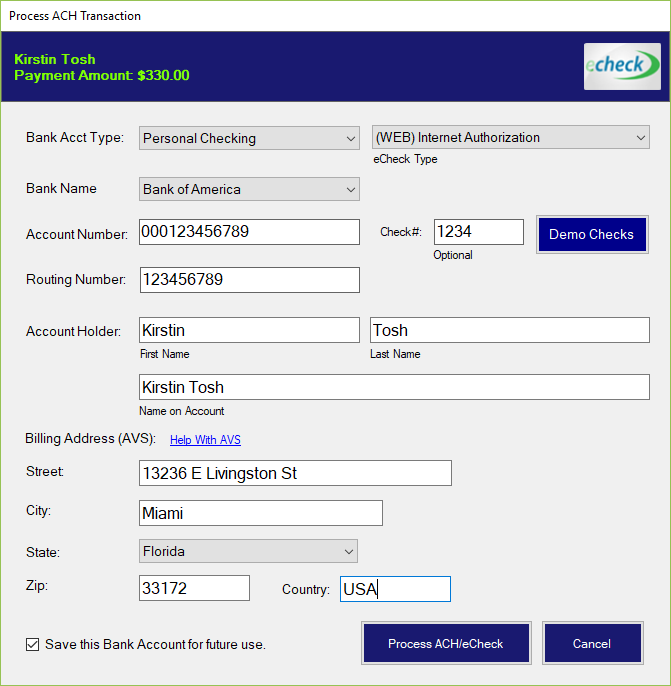 By utilizing the eCheck.Net service built into QB EzPay, your organization can save time and money almost immediately while offering another payment method to your customers. Accepting invoice payments is fast and convenient with the EzInvoice tool. Pay one or multiple invoices with a single click and even receive a partial payment and apply it to any open invoice selected for a particular customer. Processing fees can be automatically added at the time the payment is collected as well as notes, memos, and other QuickBooks™ fields can be added or changed. 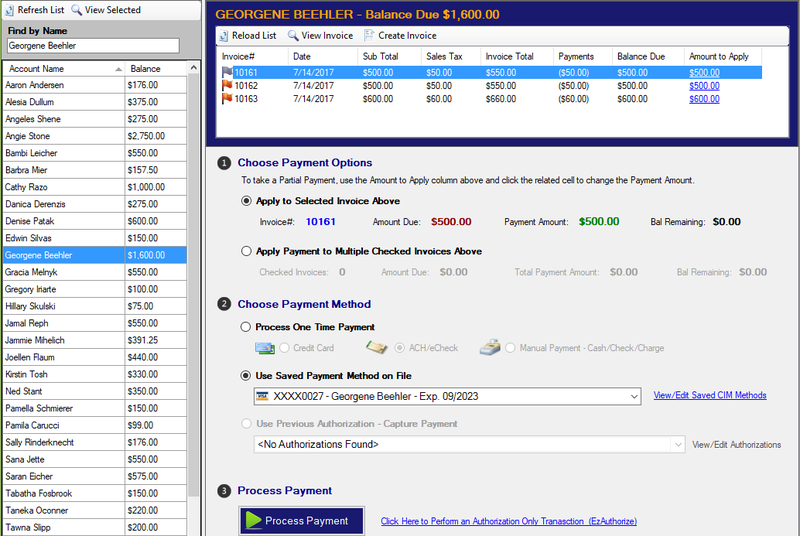 You can even create new customers and invoices on the fly whenever needed. 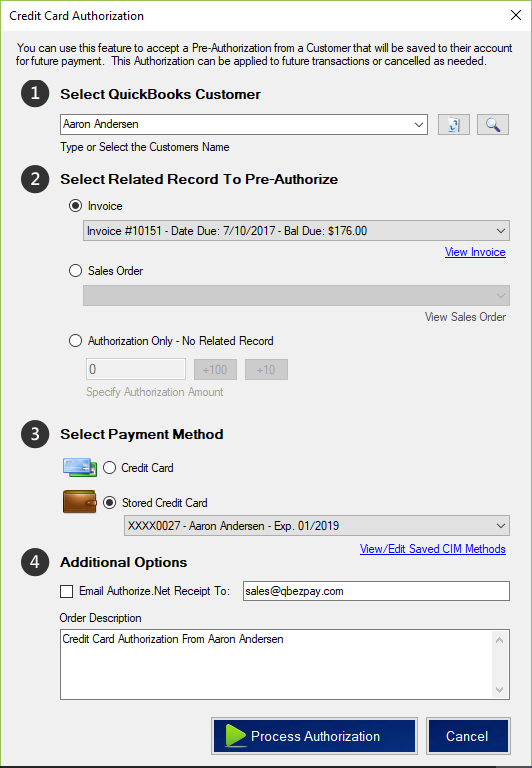 When the Authorize.Net™ ARB is enabled for your account, future one time or recurring payments can be scheduled and processed automatically. Sales Receipts are a snap while using QB EzPay. 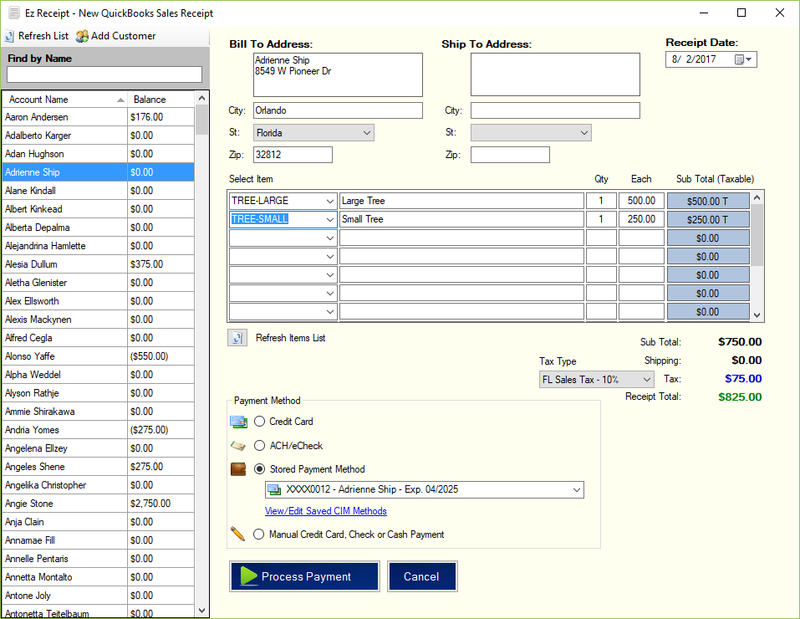 Add a customer or select an existing one from QuickBooks™, select or add the related line items, change or update your prices and finally process payment. Processing and shipping fees can be automatically added at the time the payment is collected as well as notes, memos and other QuickBooks™ fields can be created or changed. 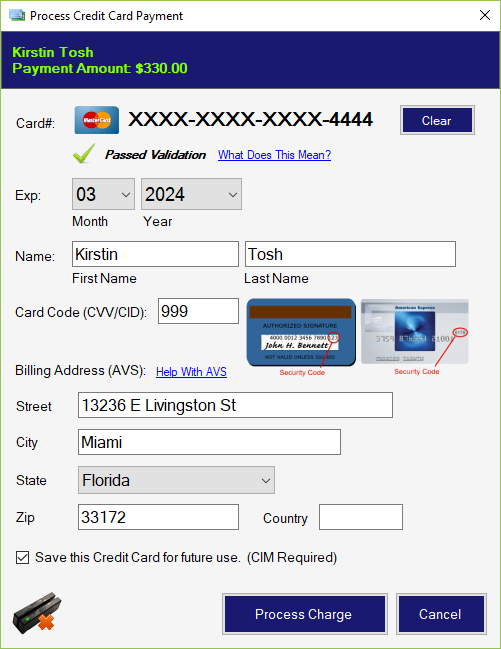 When the Authorize.Net™ CIM is enabled for your account, you can save any used methods for future use giving your customers added flexibility and convenience for future purchases with your organization. Need to process a refund for a customer? Simply select a transaction that settled within the last 120 days from the report or batch list and click the refund button. You will then be able to automatically create a credit memo if desired so your refunds are posted back to QuickBooks™ and inventory items are automatically added back into the system. Refunded amounts will typically be posted to a customers Credit Card or Bank Account within 48 hours. An authorization is an approval on a cardholder account for the total amount of an invoice. This hold can remain on the cardholder’s account for up to 30 days, depending upon the issuing bank policy. Once the work is performed or the product is shipped, the card is captured and the funds will be deposited to your Bank Account. This option is handy for industries that need a guarantee of payment before any services are rendered like handyman and repair, rental, landscaping, and many other service based industries. For example, product based companies can have their orders authorized when received and payment captured when they are shipped saving you any headaches with inventory issues.